Being forced to rely on your next payday to roll around before you can pay your electric bill or student loan can be stressful. However, if you frequently live paycheck-to-paycheck, you’re not alone. A recent study conducted by CareerBuilder.com revealed that nearly 40 percent of Americans have to wait on each paycheck to make ends meet. The good news is many people who fall into this scenario are finding ways to pull themselves out and adopting smart tactics to save money. So what can you do to put more money aside each month? Consider following some time-tested tips below to gain financial independence. 1. 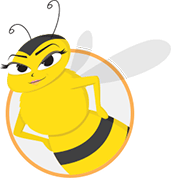 Try a free online personal finance management system! 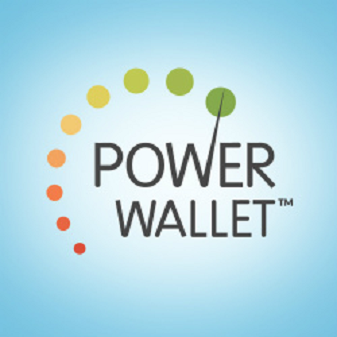 PowerWallet.com can evaluate your expenses and create a budget that fits your needs. It is an easy way to see how much you can save by cutting back on a certain category and find out how close you are to reaching your goals. Unlike other sites, PowerWallet.com offers you deals to places you already shop or eat at by looking at where you are spending you money now. The thing I like most about the site is that you can pull up all your bills and statements at just the click of a button. It lets you track all of your invoices from different banks and financial institutions to make paying bills and saving money easier. 2. Get active. What do exercise, book clubs, family gatherings and quality time with friends have in common? They get you out of the house and lower your reliance on services, like utilities and cable. One of the first tips for people looking to save money is to see if they can lower their monthly expenses by canceling or cutting back cable and lower utility bills. This can lead to more money to devote to savings. However, you may be less willing to give up your favorite cable stations or curb your energy use if you’re at home all day. Finding other cost-effective ways to entertain yourself may free up more money in your pocket by keeping your bills low. 3. Give yourself another bill. If you were close to falling short on a monthly bill you would give up dining out or taking a trip. So, why not adopt the same attitude when it comes to paying yourself? Many people make the mistake of paying all their bills first, then using what they have left for “fun” purchases without any regards to their savings accounts. By the end of the month, your bills have been paid, but you have nothing in savings to cover the costs of emergencies or give you a financial cushion. To break this bad habit, carve out a small portion of your income to devote to savings and treat it as if it were another bill you have to pay. Even if you can only manage $50 a month, you will be in a better position in the long term. 4. Get a second job. You don’t have to suffer through an 80-hour workweek to make more money. You can bring in additional income by freelancing, selling items you no longer need, or even picking up a shift twice a week at a store or restaurant. Having additional money to put into savings may encourage you to be more frugal so you can continue your savings goals and have more flexibility over your money management plan.